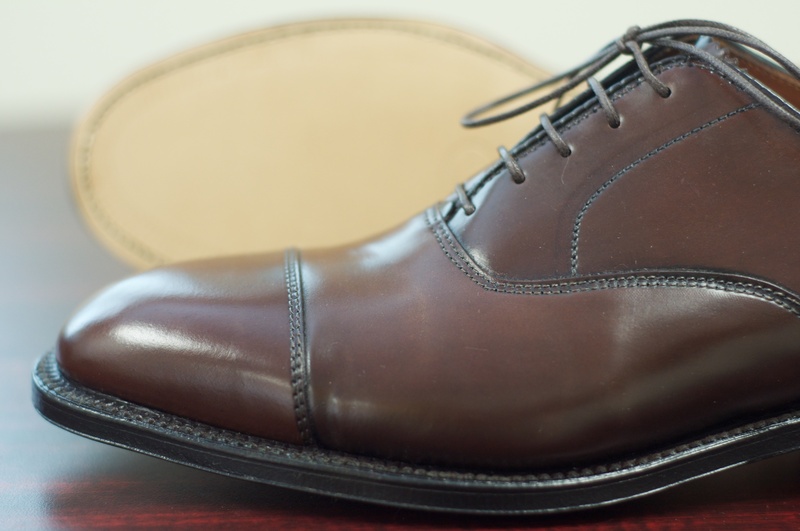 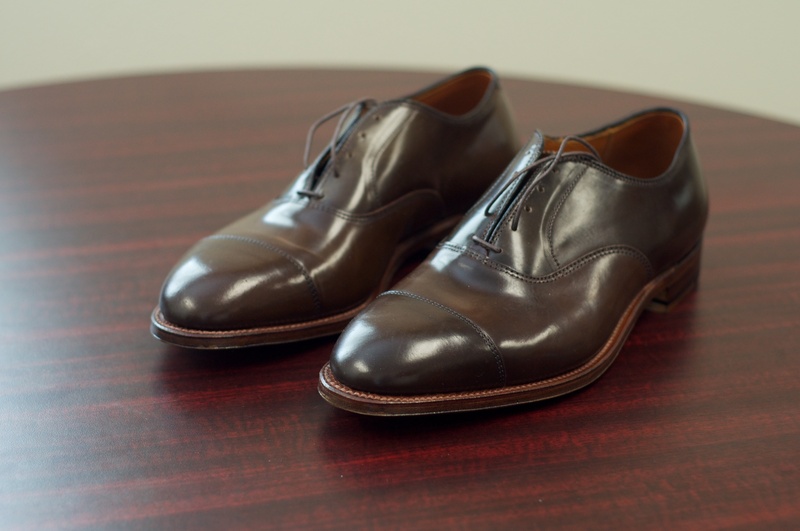 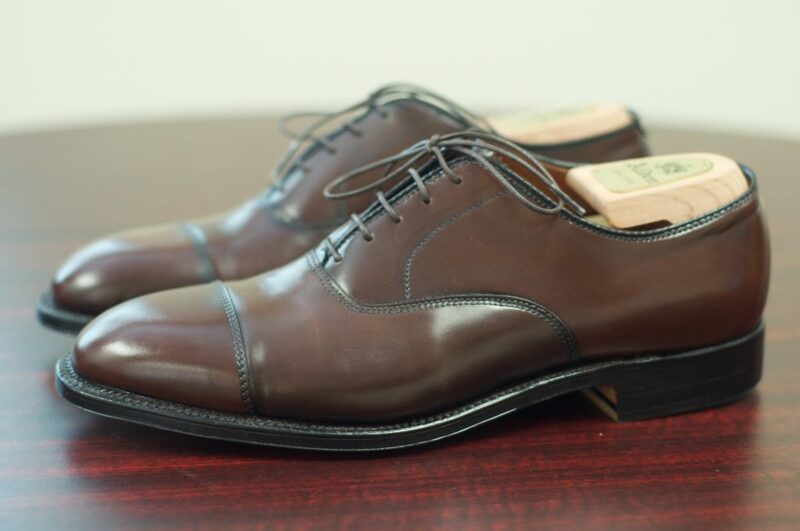 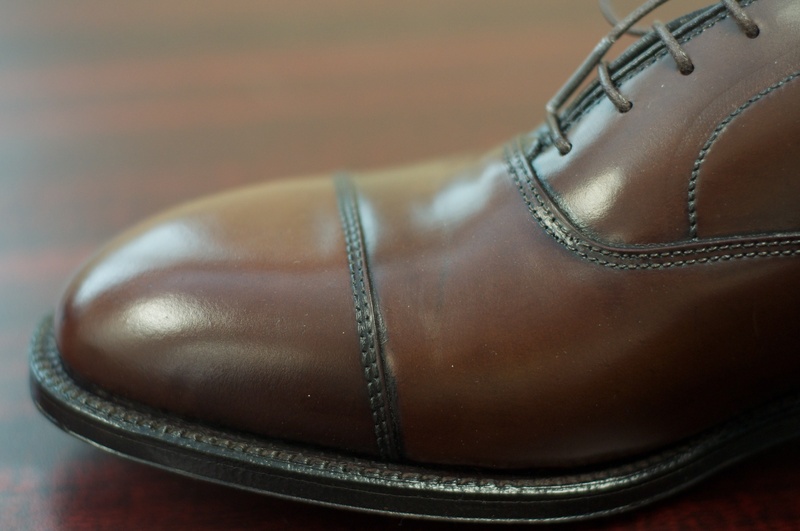 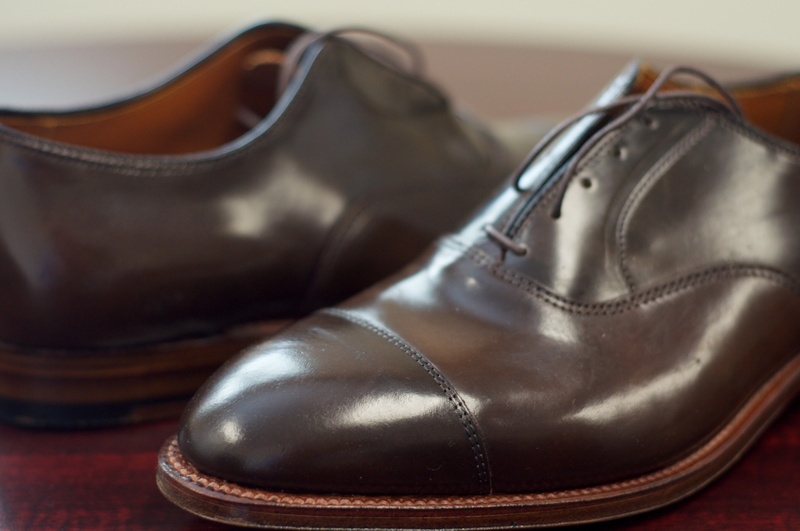 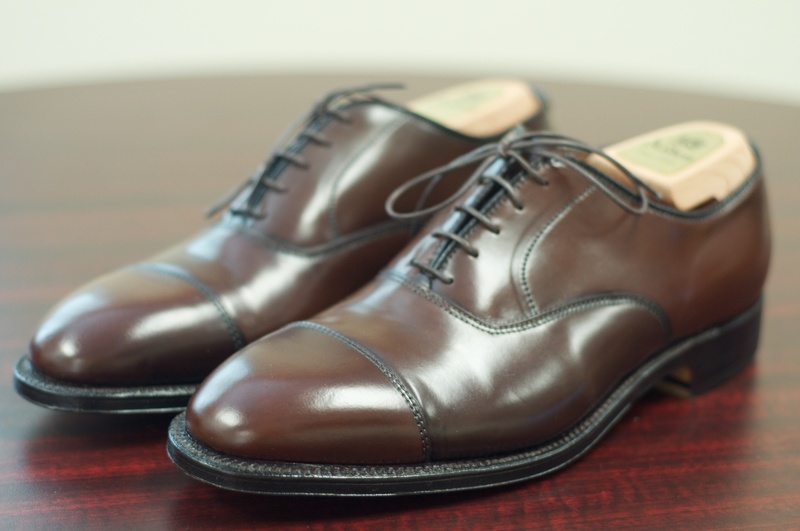 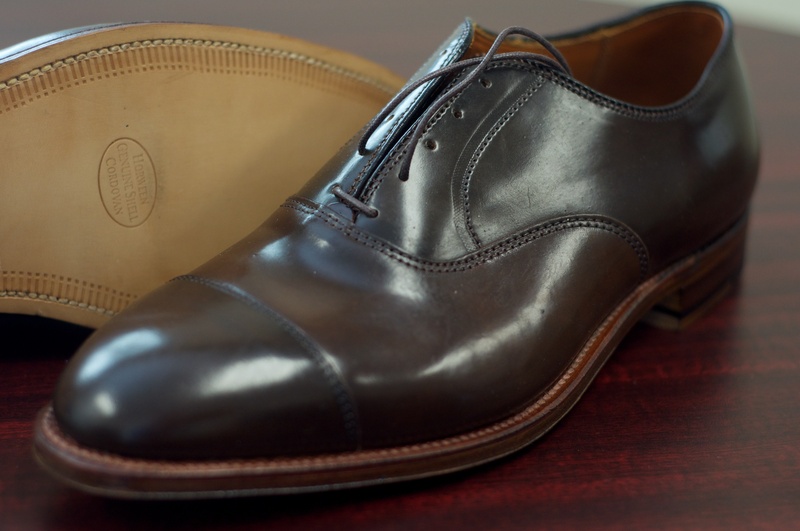 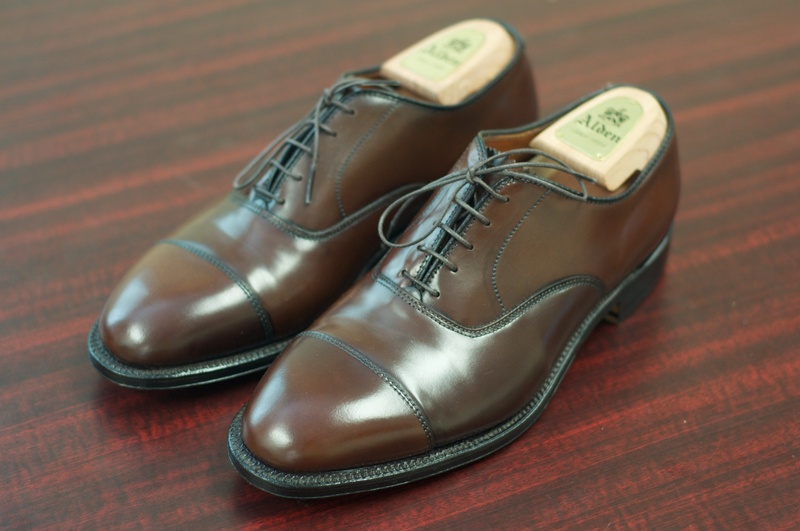 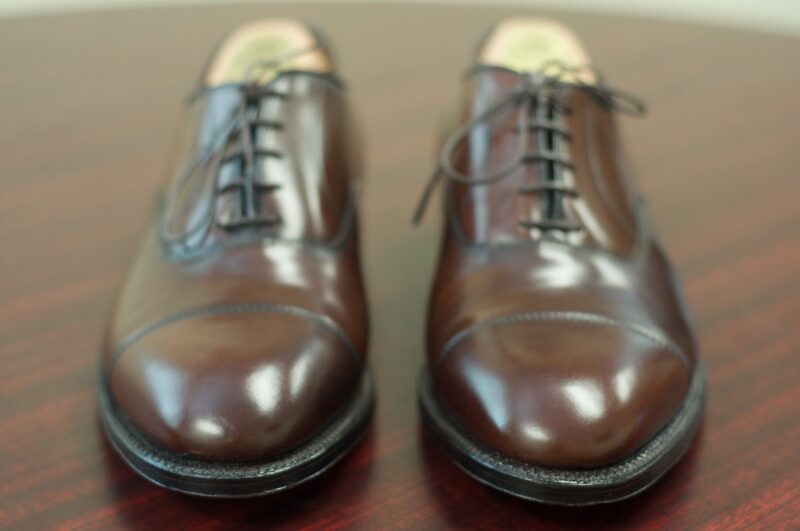 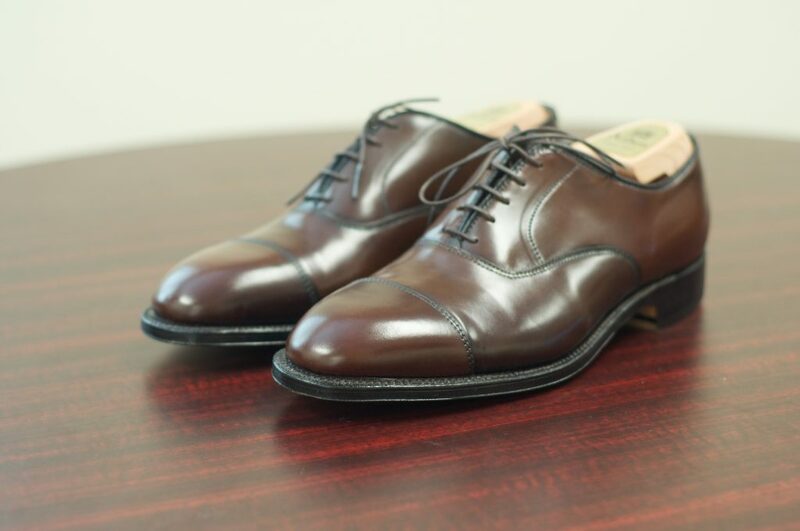 The Cigar Cap Toe Balmoral is a pretty cool shoe. 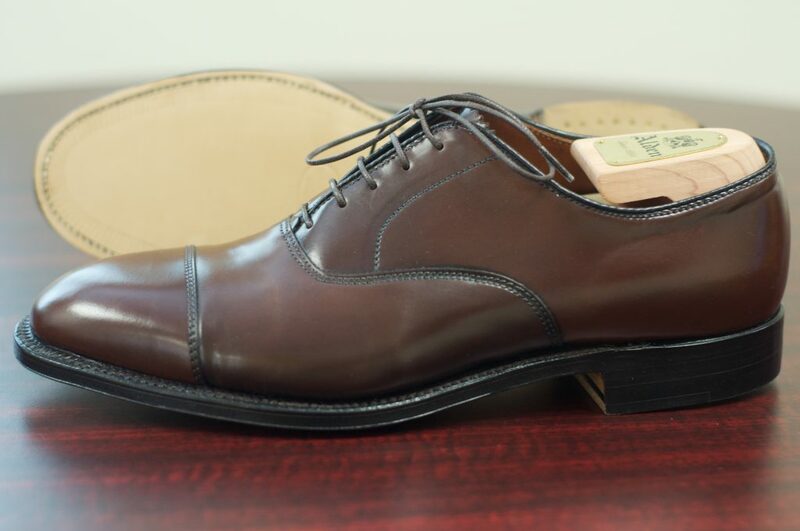 Honestly, it falls in a slightly weird place in the shoe world, as it has the utmost formality of a Cap Toe Balmoral, but has the cool, casual look of the Cigar Shell Cordovan. 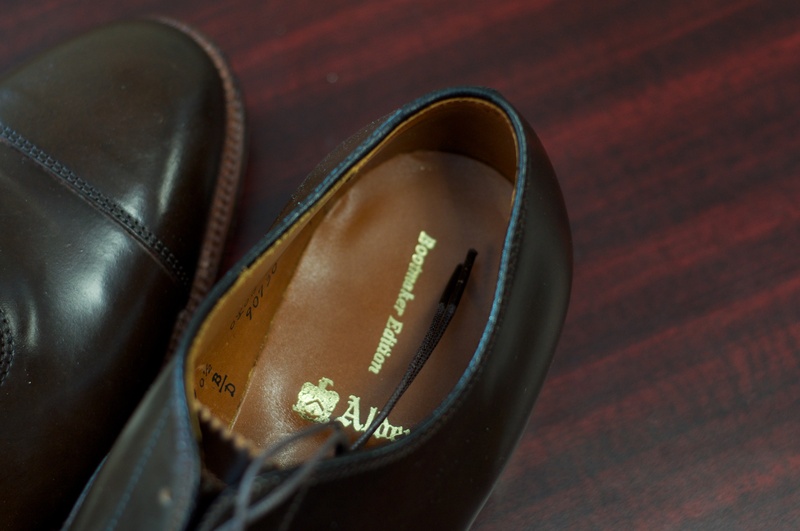 I have owned two versions of these, one from TheShoeMart, has Tan “Antique” Edges, for a slightly more casual appearance, the other from CitiShoes had the darker Mahogany Edges, for a slightly more dressy appearance. 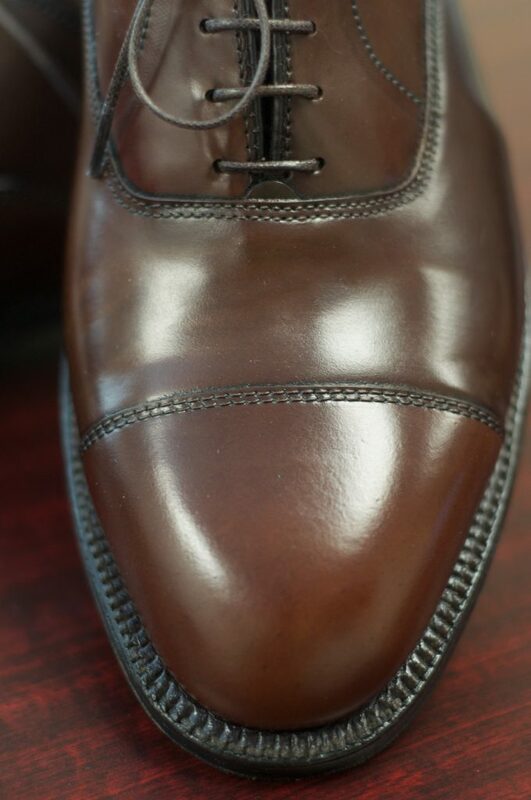 Overall, I think that I prefer the Antique Edges, I mean this is a Cigar makeup, so you might as well go classic Cigar styling, but either way, it is hard to go wrong. 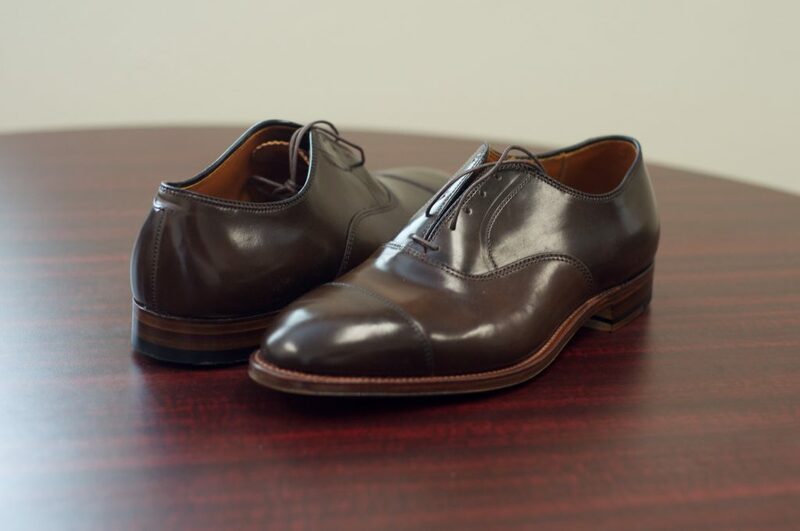 This pair was made by TheShoeMart in the 2010 timeframe and feature the Tan “Antique” Edges. 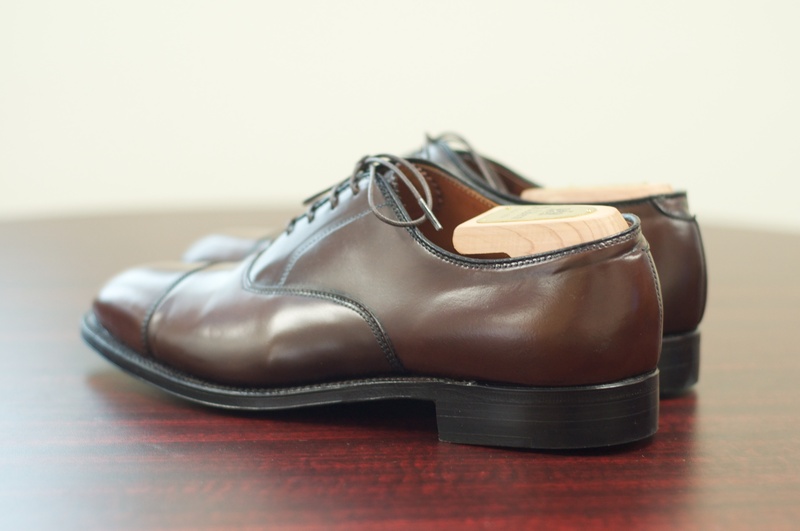 This pair was made by CitiShoes many years ago and feature the Dark “Mahogany” Edges. 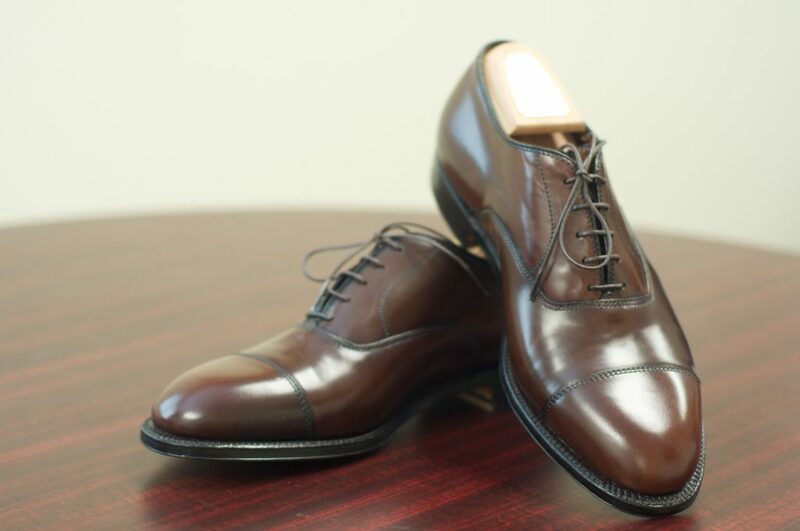 I would not describe these as containing a traditional Cigar shade.